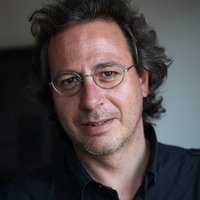 José Carlos Bouso is a Clinical Psychologist with a PhD in Pharmacology. He developed his scientific actitives while at the Universidad Autónoma de Madrid, the Instituto de Investigación Biomédica IIB-Sant Pau de Barcelona, and the Instituto Hospital del Mar de Investigaciones Médicas de Barcelona (IMIM). During this time, he developed studies about the therapeutic effects of MDMA (“ecstacy”) and psychopharmacological studies on the acute and neuropsychiatric long-term effects of many substances, both synthetic and plant origin. As the Scientific Director at ICEERS, José Carlos oversees studies on the potential benefits of psychoactive plants, principally cannabis, ayahuasca, and ibogaine, with the goal of improving public health. He is a member of the Observatorio Español de Cannabis Medicinal and is co-author of numerous scientific papers and several book chapters. In this talk Jose will present the case report of a woman who was successfully treated using a protocol based on low dosis of ibogaine for methadone dependence. The patient was a female 47 years old on MMT for 17 years. The treatment consisted in the administration of several low and cumulative doses of ibogaine over a 6-week period. Each administration of ibogaine attenuated the withdrawal symptoms for several hours, and reduced the tolerance to methadone until all signs of withdrawal symptoms disappeared at the end of the treatment. No serious adverse effects were observed, and at no point did the QTc measures reach clinically significant scores. Twelve months after the treatment, she was no longer on MMT. This case report study serve us to design a clinical trial with the intention of using low and cumulative doses of Ibogaine in the treatment of methadone dependence. We will explain in this talk an outline of the proposed study for discussion.